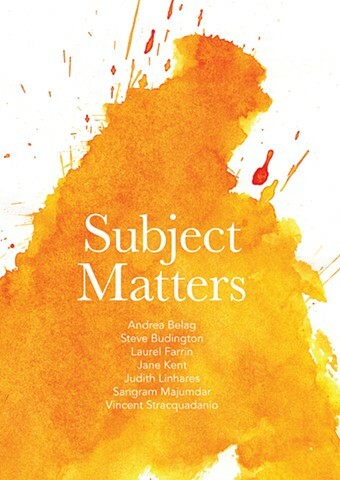 The work of seven contemporary painters is included in the group exhibition Subject Matters. Each of these artists makes paintings that function in some manner as an identifiable image and each artist’s approach to painting is distinct, both in style and technique. The common objective of the individual artists is to arrive at a condition of tangible, if not familiar recognition of the subject matter represented in each painting. This group was selected to present a wide view of contemporary concerns in painting ranging from straightforward representation to geometric abstraction. Judith Linhares has been painting for fifty years and Vincent Stracquadanio is a recent college graduate, but they have in common a goal to make their paintings vividly distinct in the manifestation of a unique and eloquent pictorial experience. Each of the artists in Subject Matters is reaffirming the mysterious power of the conjured, invented or transformed image to speak to us. Each of them believes that the subject does matter, in whatever form it is given.